So sang Andy Williams back in 1963 in his festive favourite It's the Most Wonderful Time Of The Year. And the lyric quoted above has caused much scratching of heads over the years, as not every one is aware of the old tradition of telling spooky tales upon a Christmas night. Indeed some have wondered whether the lines above are merely referring solely, in a hap-hazard fashion, to Dickens' A Christmas Carol. And indeed from surviving diaries, letters and other items of supporting evidence we learn that famous tales of his, such as Number 13, Oh Whistle & I'll Come To You and A School Story were first read aloud to friends over the festive season. Certainly the Christmas spirits enjoyed a veritable heyday in Victorian times. 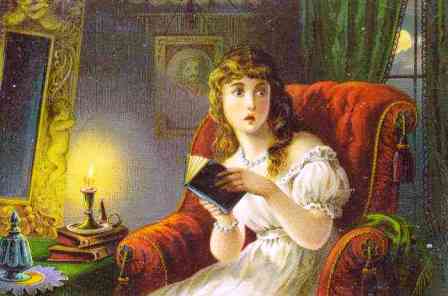 Supernatural fiction as a whole was immensely popular with the Victorians. Now we tend to think of the ladies and gentlemen of that period as being stolid, stuffy types, however this is something of a fallacy. For as Matthew Sweet makes clear in his excellent book Inventing The Victorians (St Martin's Press 2001) actually the contrary was closer to the truth - rather than staid and prim prudes, our bewhiskered ancestors were thrill-seekers. Victorian entertainment and popular culture was very much geared towards the concept of new sensations such as death-defying acrobatics, the delights of the music-halls, and new pleasures ushered in by that era's boom in technology such as magic lantern shows and the pioneering stagecraft of magicians such as John Nevil Maskelyne and David Devant. The Victorian period was an era of public crazes and fads, as the denizens of what was actually a forward-thinking and visionary society eagerly lapped up a succession of new thrills. With industrial technology, making printing cheaper than ever before, literature and the pastime of reading, once the preserve of the monied classes, boomed across all sectors of society. And coupled with crazes for esoteric subjects such as spiritualism, ritual magic and all things Egyptian, it is hardly surprising that this was a golden age too for supernatural and weird fiction. Bob and I went to two pantomimes. One was at the Theatre of Fancy, and the other at the Fairy Opera, and I don't know which we liked the best. At the Fancy, we saw "Harlequin Hamlet, or Daddy's Ghost and Nunky's Pison ", which is all very well - but, gentlemen, if you don't respect Shakespeare, to whom will you be civil? The palace and ramparts of Elsinore by moon and snowlight is one of Loutherbourg's finest efforts. He began with a segment of the Pickwick Papers, 'The Story of the Goblins who Stole a Sexton' (told by Pickwick's friend Mr. Wardle of Dingley Dell), a prototype of the later full-length story A Christmas Carol with the immortal and repentant Scrooge based upon the sexton Gabriel Grub. The immensely popular Christmas Numbers of Household Words and All the Year Round, both edited by Dickens, really popularised 'Ghosts at Christmas' as an annual event in the minds of the reading public. 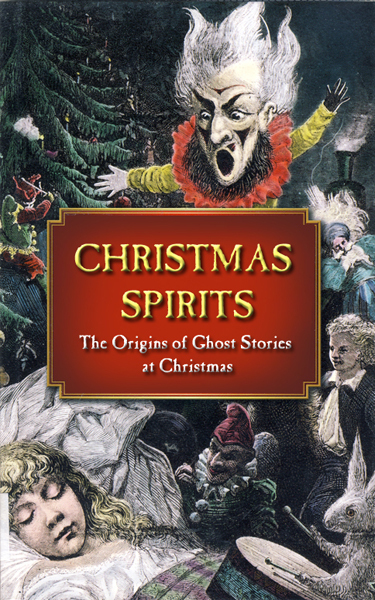 Yet despite the seeming timelessness of this tradition, it has to be admitted that the idea of creating ghosts stories especially for telling at Christmas goes back no further... than the time of Charles Dickens. 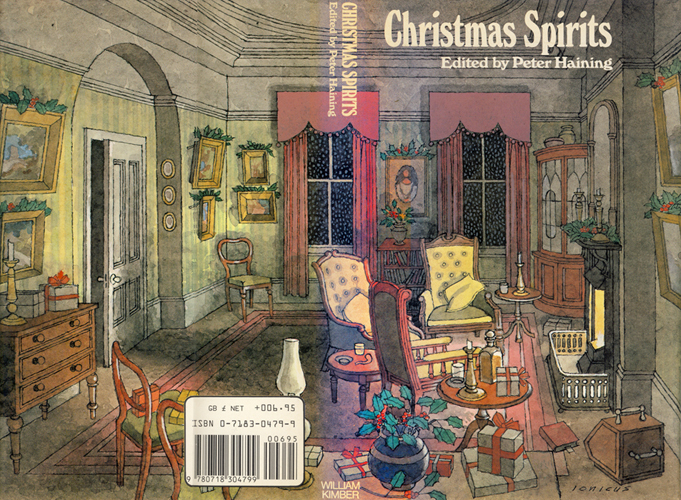 However some carefully searching of the shelves in my library uncovered a source that makes clear the tradition of telling strange tales of the supernatural around the Yule hearth did indeed exist well before Mr Dickens enshrined it in the Victorian Christmas. When I returned to the drawing-room, I found the company seated around the fire, listening to the parson, who was deeply ensconced in a high-backed oaken chair, the work of some cunning artificer of yore, which had been brought from the library for his particular accommodation. 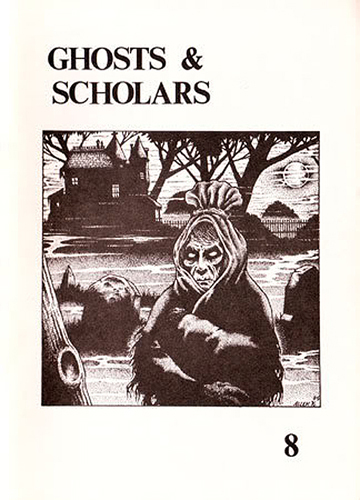 From this venerable piece of furniture, with which his shadowy figure and dark weazen face so admirably accorded, he was dealing forth strange accounts of popular superstitions and legends of the surrounding country, with which he had become acquainted in the course of his antiquarian researches. 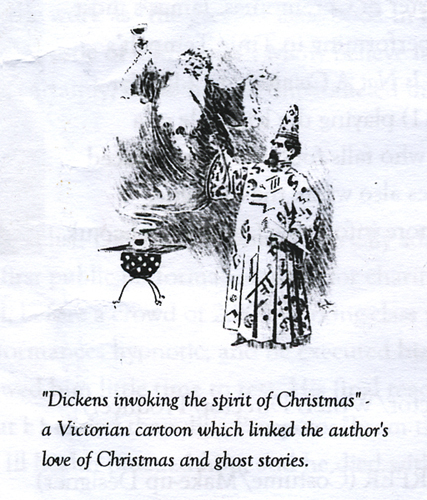 So then we can see that Christmas ghost stories would have been a traditional pastime in Dickens' childhood. But how much further back does the tradition go? 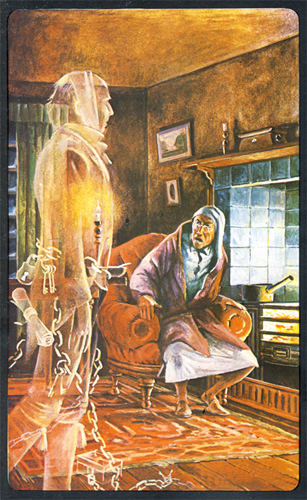 Now for those who do not buy the Victorian/Dickensian origin theory, the competing contention is that telling ghostly tales at Yuletide is a surviving echoing of ancient Celtic rites. Now as I'm sure most of you will be aware, much of what we take to be part and parcel of Christmas comes not from the Christian religion but from a variety of pagan festivals that took place on the winter solstice such as the Germanic Yule and the Roman Saturnalia. Indeed when one begins to examine the ancient past, it seems that there has always been a holiday on the shortest day of the year which has involved fires, feasts, gift giving and bringing evergreens into the house. Now all these festivals revolved around the theme of bring light and life to the darkest time of the year, and as Terry Pratchett's memorable phrased it in his novel Hogfather, 'to persuade the Sun to do a decent day's work for a change'. Now it is assumed that during such ancient festivities, stories were told of gods and monsters which explained why the days would grow so dark, and our telling of ghost stories is an echo of these spiritual and religious recitations and rituals. 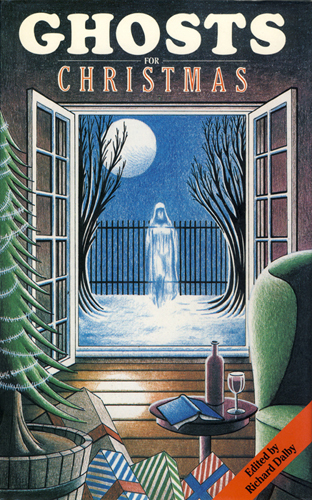 However as plausible as this ancient pagan theory of Christmas ghost stories is, unfortunately any proper evidence to support it has melted away like snow on Boxing Day. And the standard scholarly view is that there is nothing to point to the existence of the tradition in pre-Victorian times. There is probably a smell of roasted chesnuts and other good comfortable things all the time, for we are telling Winter Stories - Ghost Stories, or more shame for us - round the Christmas fire. Now the important term in that above quote is Winter Stories, for this is no mere idly coined epithet but a specific phrase that has fallen into disuse and whose meaning has been forgotten. For a 'winter story' refered to a fantastical story and this term was in usage for centuries before Dickens. For example, a 17th century century philosopher Joesph Glanvill, in his most famous work, the treatise on witchcraft (referenced by Poe in Ligeia and by HP Lovecraft in his Yule horror tale The Festival) Sadducismus Truimphatus (1681) had harsh words for those who dismissed the existence of unearthly powers as "meer Winter Tales, or Old Wives fables". Rewinding at little further back into the past, we discover this usage of the term was around in William Shakepeare's time. 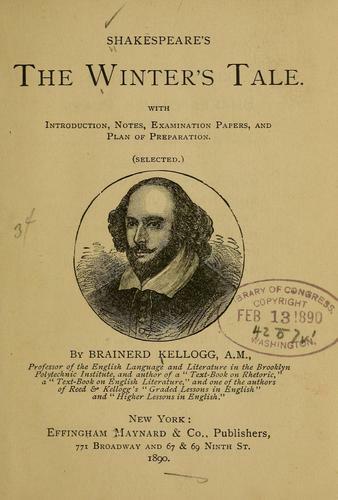 And this is why he titled his strange fable of magic and transformations, A Winter's Tale (1623). And as it happens, this tale which begins 'There was a man dwelt by a churchyard...' is clearly going to be a ghost story. Indeed many years later, that master of the Christmas ghost story, MR James made an educated guess as to the exact tale the young prince was to recount, penning a story of the same title (the text of which you can find here and my audio reading of it here) and appropriately enough was first published in the December issue of an Eton magazine Snapdragon in 1924. However as yet I have not found any further historical evidence to determine this exactly. But regardless, we can with a reasonable degree of certainty pronounce that the Christmas Ghost story has been with us at least since the times of good Queen Bess. And incredibly the tradition is now entering it's fifth century.